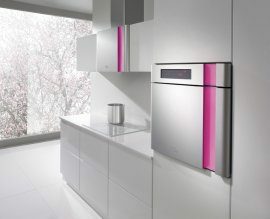 Gorenje designed by Karim Rashid Collection of top kitchen appliances has won the gold Product Innovation Award at the Design Awards 2010 in the UK. The Design Awards is an ongoing scheme to promote excellence in design in the home, organised by the publishers of Designer magazine and supported by over 30 leading UK suppliers. Held in London on 5th October 2010, the Design Awards celebrate those products that best represent excellence and real innovation in design. 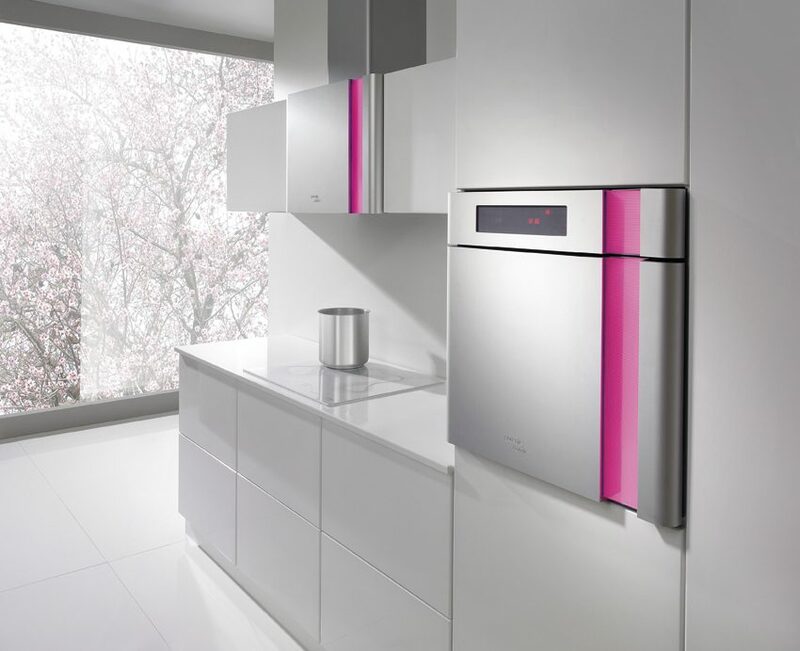 The independent panel of judges was impressed by Gorenje designed by Karim Rashid Collection which comprises of a range of ovens, hoods and hobs that feature Karim’s signature curves and bold colours. This appealing top-class collection of appliances brings the touch of light into your kitchen and provides a memorable experience for all senses. “I am so honored to receive this award with Gorenje. They are really interested in true innovation and afforded me to try some new ideas. I did not just want to make another appliance, but to make the appliance change the ambience of the kitchen environment itself. I wanted to use colour but many people are afraid of colour in their homes, especially in their kitchens. So I developed a soft edged minimal oven fascia with a vertical band (the handle) to be a line of light – a changeable LED stripe so this was the way I brought colour into the kitchen. With this collection anyone can choose and change the colour of their kitchen and personalize their lives. This is an experiential object, an object as experience,” says Karim Rashid. 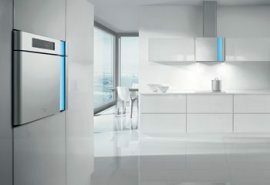 The innovative vertical LED light stripe on the ovens and hoods of the Gorenje designed by Karim Rashid Collection offers several colour versions, allowing consumers to adjust the appearance of their appliance according to their current mood, or indeed their lifestyle. Karim Rashid is an award-winning industrial designer who has undertaken projects for hundreds of clients all around the world. Teaming up with Gorenje was a perfect opportunity to pursue a desire Karim has had for ages: to introduce design into simple, everyday objects such as household appliances, to marry his imagination to advanced technology, and to create a top-class collection of appliances that will provide a memorable experience for all senses. The awarded collection addresses the more demanding customers, the admirers of excellent design and timeless beauty. 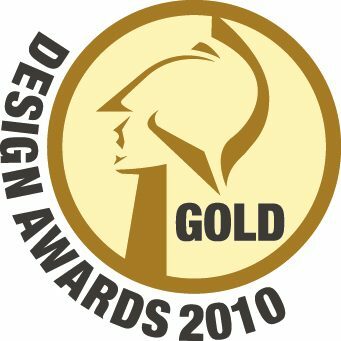 The Design Awards is an ongoing scheme to promote excellence in design in the home, organised by the publishers of Designer magazine and supported by over 30 leading UK suppliers. Launched in 2003, the Design Awards focused initially on kitchen and bathroom design projects, but has now expanded to celebrate the work of designers working with complete living spaces. The Product Innovation Awards, which are at the heart of the scheme, celebrate and reward products that demonstrate real innovation, and highlight the vital role of manufacturers in driving innovation in design in the home.